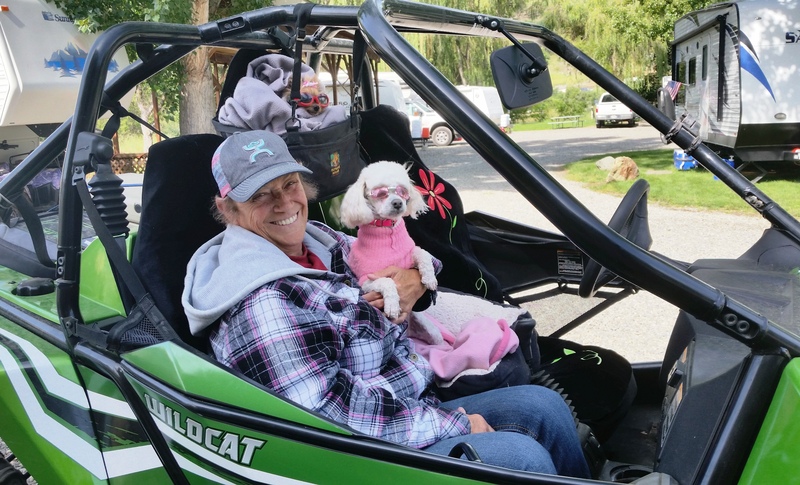 The remarkable roads and trails around Swiftwater RV Park in White Bird, ID offer great ATV rides and the chance to enjoy spectacular views, vistas and wildlife. The White Bird, Idaho area has become a popular location for ATV riding because Swiftwater RV Park guests can hop on their machines and leave direct from the campground. By far, the most popular ride is the 40+ mile round trip into Hells Canyon – Pittsburg Landing – on the Snake River. Hells Canyon is a designated National Recreation Area, renowned for the fishing (bass, salmon & steelhead, in season), hiking, wildlife, historical cabins, and sheer wilderness beauty. Fortunately for our guests, the maintained gravel road is not busy, has awesome views and curves, and several stopping points for photos and picnics. However, there are plenty of other directions to ride, especially into the Nez Perce National Forest! Swiftwater is a Pet-Friendly Campground! This year, over the long Memorial Day Weekend, our neighbors (Killgore Adventures) and Harold Morris are holding an official ATV Ride for 2 days. Many times in the past, our guests have enjoyed those rides, or they simply go at their own speed & to their own destinations. Whatever your mood, I hope you’ll join the fun here along the Salmon River. 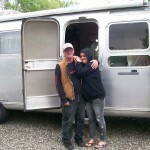 Give us a call 208.839.2700 to book a campsite for Memorial Day weekend (3 night minimum stay), or any other time. We’d love to have you! 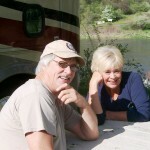 Want to read what others are saying about camping at Swiftwater RV Park? Check us out on Trip Advisor! 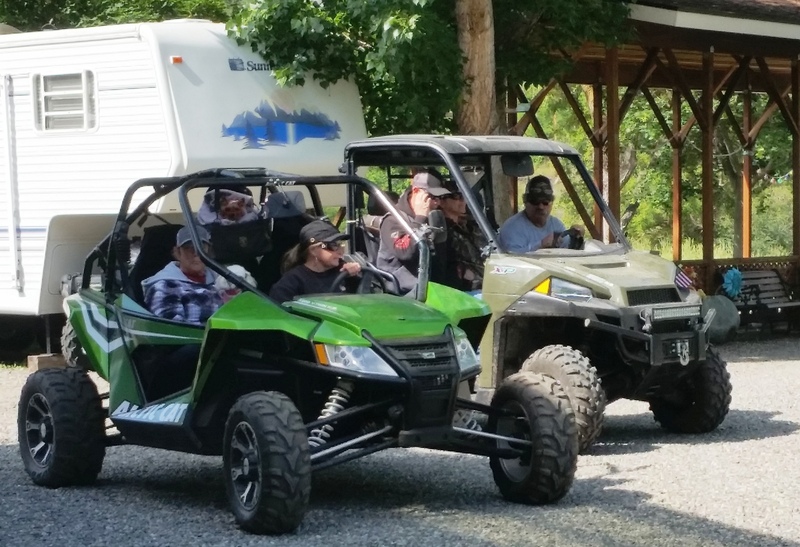 Learn more about ATV/UTV riding in Idaho from the state Parks & Rec website, the state’s OHV Recreation Guide – Stay on Trails website, and our local ATV club – Idaho Pathfinders.